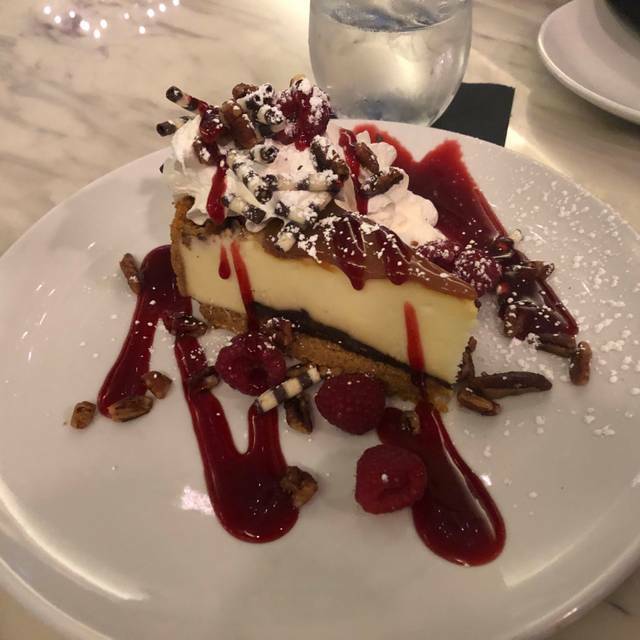 You must make reservations at least 5 minutes in advance of the time at Sugar Factory Bravern (Bellevue). I was shocked to see they charge $34.00 for their non-alcoholic signature goblet drinks (only $5.00 less than the alcoholic version). We spent $200.00 for a few baskets of French fries, three drinks for my daughter and her friends to share, and the tip. That’s quite ridiculous! She had a great time though but for the price, I don’t think we will go back. Too expensive. But great concept. It was a great place for a birthday but the food wasn’t the greatest. We enjoyed the drinks but they were overpriced for the quality. This place is definitely just for social media because it isn’t somewhere I would come for a regular night out. Worked with a party planner and was honestly not an easy customer to work with. I was very demanding and needy and was reassured that everything would be set up perfectly and go off without a hitch. I was very concerned about this and sure enough when we got there, NOTHING, was done they was we asked for. Was given a reason that "they were busy and the group before me went over" I realize my $500 spent wasn't huge, but it was to me. Javi, our waiter, was awesome!!!!!! Great service, food, and fun! Kids kept talking about - I knew it would be a one and done. Way overpriced. A ton of unhealthy food. Go once and call it good. Paying a lot for the experience. Service, fine. Food quality, average. Drinks, overpriced. Been there, done that. No plans to return. Excellent service. Fun atmosphere! Highly recommend! We only order dessert, took forever to just get scoops of ice cream and they were not even that busy. We took our daughters to this restaurant for their birthday as they had heard about it from friends and have seen it all over their friends Instagram feeds, so I thought we would give it a go. I would recommend only coming here for their desserts, as their actual food and entrees will leave you quite disappointed. 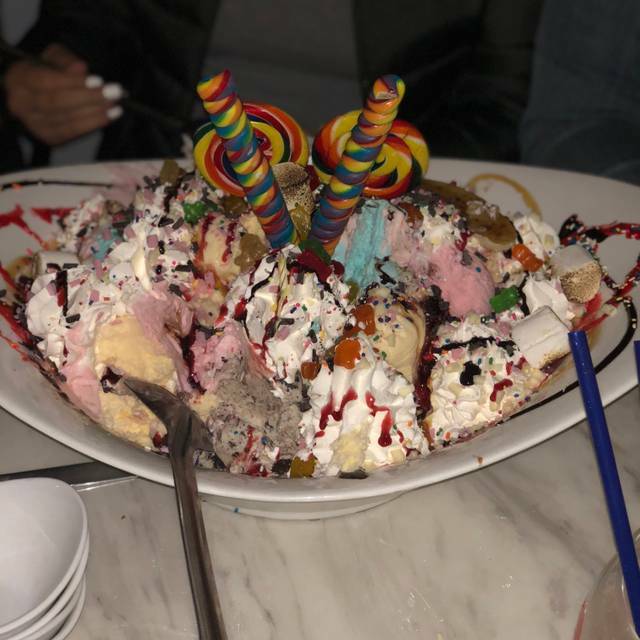 You can tell they cater to a teen/tween audience, with the brightly lit posters of celebrities indulging in their candy and ice cream creations literally all over the walls, the loud pop music constantly playing and their over the top fanfare for their signature giant sundae that is meant for parties of 10 or more. 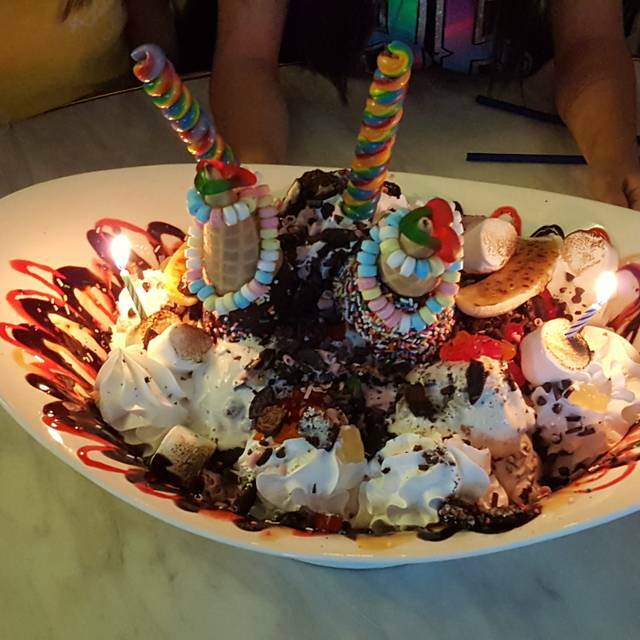 Each time someone orders that $99 monstrosity, they turn off the lights, blast the music even louder, and come out with a huge showing of banging ladles, sparklers and flashing lights, all while singing (shouting) some birthday jingle. It happens quite a bit, especially on a Saturday evening, so be prepared for all of your senses to be overwhelmed at this grotesque sight. I kind of knew what we were getting into, but had at least hoped that their steep prices on their food meant that it was actually good, but alas, it was not for the most part. 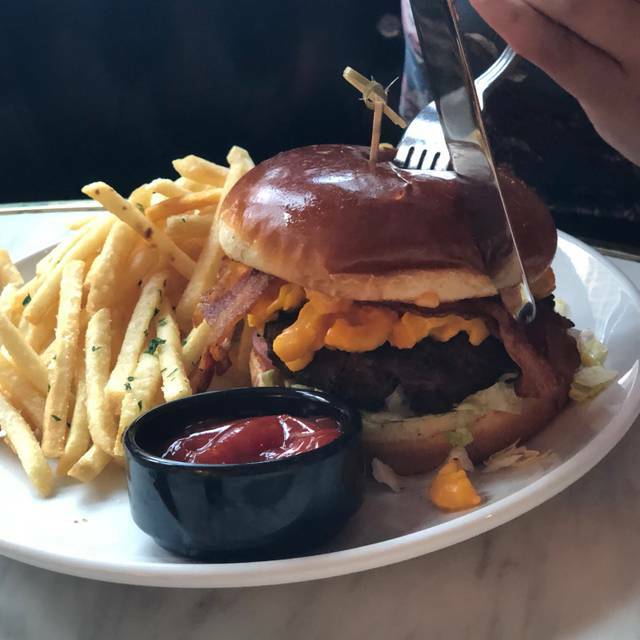 There were a few select good items on their menu, their Veggie Burger is made in-house and was quite good, but be prepared for the biggest burgers you've ever seen. I wasn't feeling much on their menu, so decided to opt for the [usually] safe Grilled Cheese with a cup of their French Onion soup. The soup was just about the worst version of French Onion soup I've ever had, the broth was the color of dirty dish water and the taste was only mildly better. The onions were clearly not sauteed (as they should be) prior to being poured into the broth, but merely thrown in fresh after chopping. It was also somewhat bland, which considering the soup is literally just beef broth with a few spices and sauteed onions, shouldn't be too hard to mess up. Needless to say, we won't be returning anytime soon. The staff was so nice and the food was great! I love the ombeance! I’ll be bring my son to celebrate his birthday. 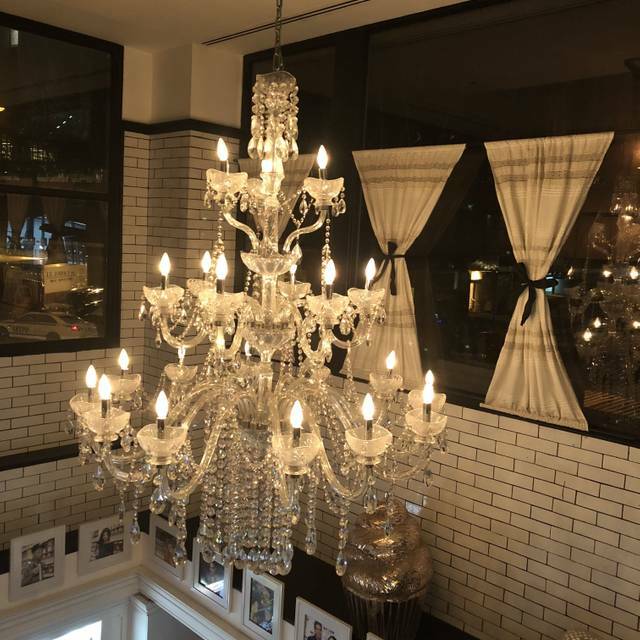 This will be our new place for special occasions! We made reservations online and notated that we would be there to celebrate our daughter's birthday. Get there and the place is "dead", like 3 other tables of people dining in the whole place at 5pm on a Saturday. The hostess brought us a filthy highchair for our baby. Even with the lack of customers, the server forgot to put in my goblet cocktail order, so I didn't receive it until our meals were almost finished (see photo, notice all the eaten food and just now getting the drink FINALLY served). The food was cold and we were told there were no sparklers or candles available for the milkshakes or desserts as were pictured in the menu we were given. The food was sub-par, especially based on the ridiculous prices.......And to top it all off, nobody offered or attempted to sing happy birthday to our daughter. Overall this visit was a total bust, we will not be returning or recommending this location to friends. 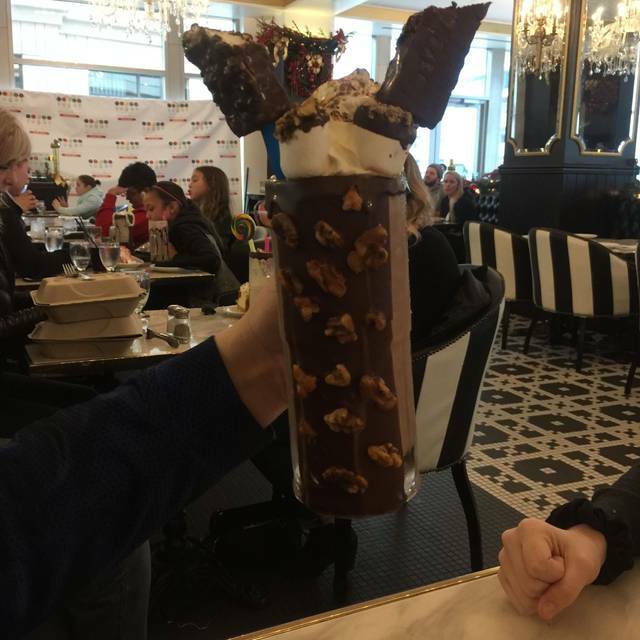 We had a blast at The Sugar Factory and we can't wait to go back! Our server Abby was amazing and helped make this birthday night for my daughter a spectacular one! Food was super delicious. The drinks were amazing. We had such a great time and our waitress was super friendly. We went in for Happy Hour and we waited quite a while before the bartender even acknowledged us and took our order, although it didn’t seem too busy. To her credit, she said there was a rush and in addition to the bar, she was given 5 tables to serve. After that, service was great. The drinks and food tasted phenomenal. Price-wise, it’s a bit steep unless you go in for Happy Hour. It was overall a good experience. On their website I was told that the day we went on would be “happy hour”. Drinks were supposed to be half off along with the appetizers. It took our waiter 4 hours to get us one appetizer, two salads, and dessert. They played the same song at least 7 times over and over again. I needed to run down to the valet just to get my car before they closed. I also didn't like the red velvet cake. I did try a friends milkshake which was amazing. My other friends donut was dry. Celebrating my birthday there wasn't a great choice. Drinks were delicious, food was ok. Great environment. I took my daughter there for her birthday and we had a blast. I love the fact that it is kid friendly. Amazing experience !! Very fun , exhilarating , enjoyable environment !! it was a really fun environment to be in and i think that it could be considered a little expensive but it’s paying for the experience!! A few coworkers and I met up for dinner. It’s a great place for drinks and entertainment. Some of the meals ordered were great and others way below expectation. 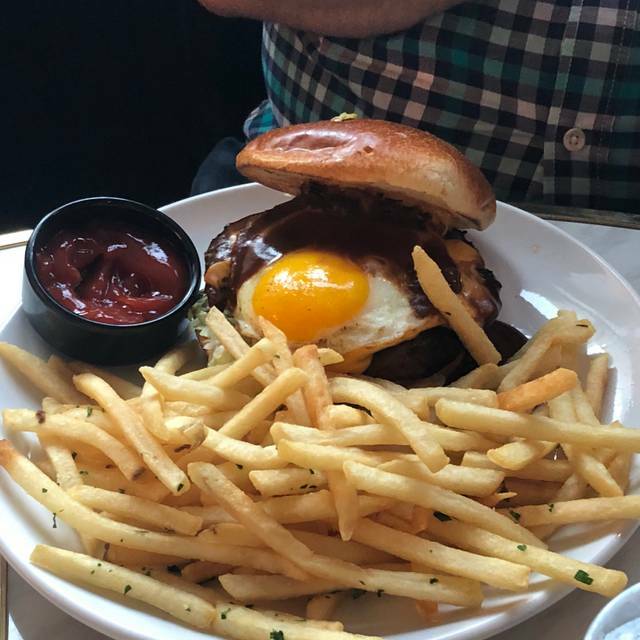 The burger was very tasty. The Eggs Benedict was very disappointing. The appetizer platter was good. The punch bowl style drinks in non-alcoholic form were very overpriced. Meals were priced fairly. Our server was terrific. Went here for my future daughter in laws birthday dinner. Didn’t realize that, although it had a dinner menu, the hype is more for the drinks and desserts. Our server was Nick and he was awesome.... gave us all the time we needed to look through our menus and served us with TONS of energy and a GIANT SMILE!!! 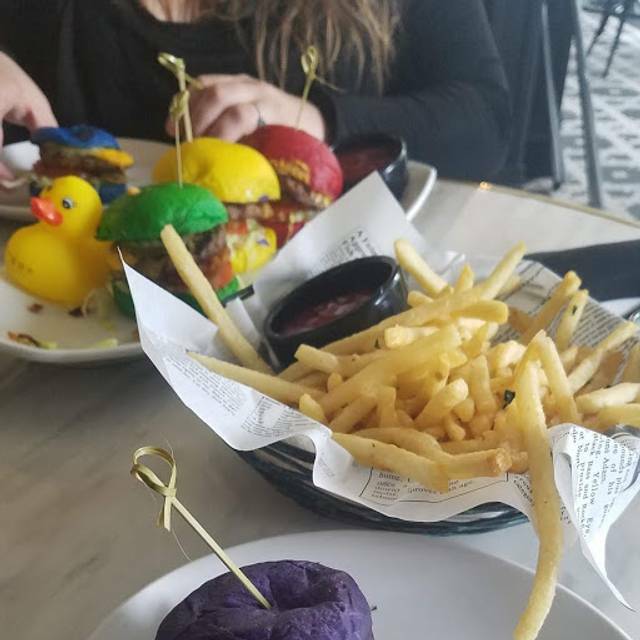 We didn’t order anything crazy, just burgers and they were pretty dry.... EVERY ONE OF THEM.... even the ones that were Med/rare. We were pretty disappointed with that. Service was amazing, the drinks were delicious but the food was really bland. I would recommend this place to a friend but only for happy hour since it is a little pricy. Sugar factory was quite overrated. Went for fiancé’s 21st birthday and our server was very slow, kids were screaming all dinner, and they didn’t even sing happy birthday to us. Food was cold. My husband and I took a long time friend to The Sugar Factory for his 56th birthday. We had a reservation but we ended up with time to spare after we went to the Bellevue Hindu Temples Huli Festival, so we looked colorfully 'rough' and the staff on hand didn't bat an eye to their credit. 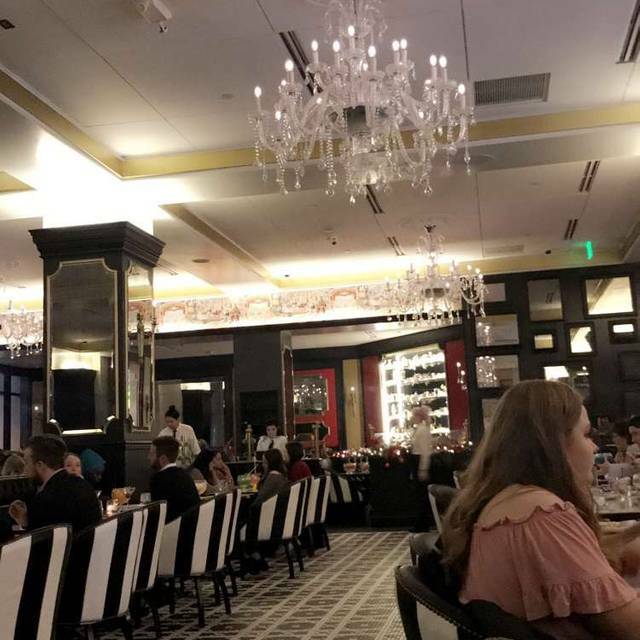 We enjoyed the fun, festively decorated ambiance of the Sugar Factory. It was a bit louder than we usually like. The food was good (The Big Cheesy is amazing). The specialty drinks are just amazing enough to leave you speechless. All in all is a must have experience. Menu & food quality is similar to Red Robin but 10x the price. oz of sugar. My niece & nephew were sick afterward. Definitely a once in a while type venue. We came from San Francisco, CA and this was a really delicious restaurant. The food was every good and the service was ostanding and curtious. Tonight was amazing! The wait staff was prompt and polite, food came out fast, and all staff members were very accommodating when we changed our reservation time. They sang happy birthday for our friend and we had an overall great night. Love this place! Original menus. Actual food is gross. Service was super slow and erroneous. Son was sick overnight after eating there. Good idea, but execution very lacking. This is a special occasion type place. It is pretty inside and everyone is friendly. The drinks are huge and the shakes are amazing. The food is average and a little spendy, but not crazy. Our biggest problem was how sloooow the service was. The fancy drinks and apps came out in a fair bit of time but the entrees took forever. It took a while to get the bill and everyone in our party didn’t want to stay to order dessert because it was so slow. Overall, an OK place to go for a Birthday celebration. Food , drinks and Desserts ALL tasted AMAZING!!! But Service is HORRIBLE!!!!!! It would be worth the Price if they had good service. ! !